Solomon Dorsey is a NYC bassist who performs with Pino Daniele, The Trio of Oz, José James, Krystle Warren and Maurice Brown. 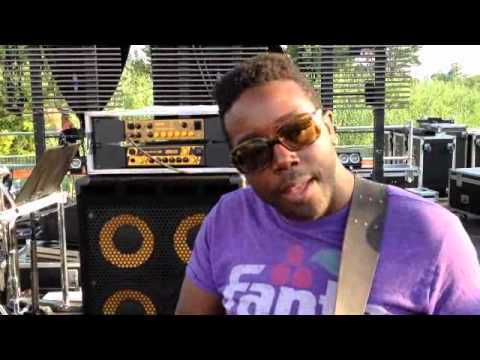 Solomon Dorsey is a bassist, singer and producer hailing from Kansas City, Missouri. He studied classical viola and opera at the University of Missouri - Kansas City. While pursuing classical studies, he also played acoustic bass in jazz ensembles, where he was quickly noticed by renowned alto saxophonist Bobby Watson. Solomon spent three years performing in Bobby's band. In 2003, Solomon moved to New York City and completed his studies at The New School for Jazz and Contemporary Music, where his principal teachers included Buster Williams, Sergio Brandao and Buddy Booker. He quickly became one of the most in-demand young players in the city, due to his deep understanding of both electric and acoustic basses, his proficiency in many styles and his strong sense of melody and weighty groove. Solomon currently performs with progressive jazz group The Trio of Oz (Omar Hakim, Rachel Z), jazz/soul singer José James, folk-rock singer/songwriter Krystle Warren, trumpeter Maurice Brown and Italian pop legend Pino Daniele. He also serves as musical director and bassist/vocalist for Irish soul singer Laura Izibor.